The community is cordially invited to a closing reception from 2 to 3 p.m. Monday, Dec. 10, for the 2018 Student Art Exhibition, now on display in the Gallery @ SUNY Broome. The exhibit highlights classical portrait drawings, along with graphic print media and three-dimensional design work. The focus is on work by students currently enrolled within the Visual Communication Arts A.S. courses. The exhibit runs through Tuesday, Dec. 11. 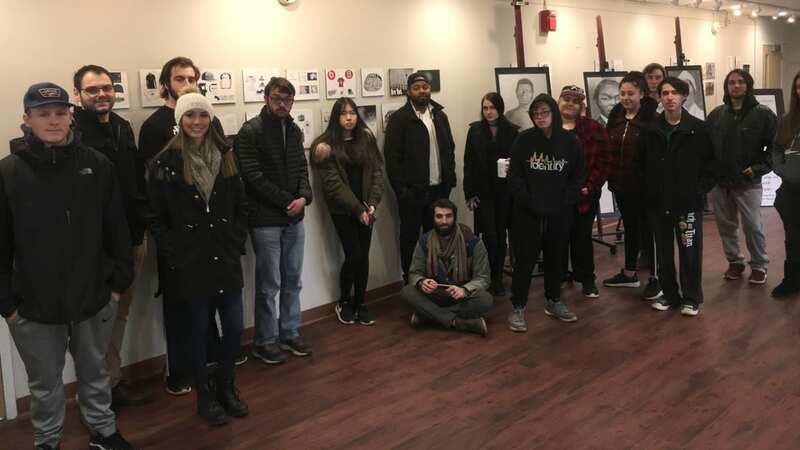 The Gallery is located on the first floor of the SUNY Broome Library, and is open from 7:30 a.m. to 10 p.m. Monday through Thursday, 7:30 a.m. to 5 p.m. Friday, 1 to 5 p.m. Saturday and 3 to 7 p.m. Sunday.